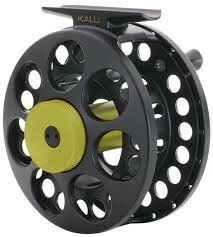 Kalu ONKI is a superb value for money reel styled to compliment the ONKI range of single handed fly rods. A machined die cast reel with a sealed, smooth, drag system consisting of stainless steel and carbon discs. Drag strength is altered via an easy, finely adjustable drag knob.